Israel proved itself as a formidable military force to be reckoned with. A country founded from decades of Jewish aspiration for a homeland came materialized in a region dominated by Arabs. Upon its establishment, it was baptized immediately with fire and blood as its neighboring Arab states, in support of their Palestinian brothers, declared war upon the new State of Israel. But the Israeli State held its ground, flexed its muscles against overwhelming odds and proved it time and again. After the war upon their independence, Israelis continued to show their prowess in the 1956 Suez Crisis and finally, in 1968 Six Day War. By the Six Day War’s end, Israel expanded its size 4 times, capturing Gaza, the Sinai Peninsula, Golan Heights, West Bank, and Jerusalem. Israel’s expansion and their humiliation of their vastly numerically superior opponents – Egypt, Syria, Jordan, along with contingents from other Arab League countries – created a myth of invincibility. The United Nations stepped in to secure a compromise between Israelis and Arabs by passing the Resolution 242. But the Resolution brought nothing but confusion. It failed to achieve peace nor resolve any territorial issues. Israel’s definition of the Resolution’s stand on territory meant they had the right to keep their gains from the Six Day War, while the Arabs interpreted it as a total withdrawal of Israeli forces from all the captured territories. Thus, differences prevailed that resulted to another conflict. Egypt before the 1973 War stood as the most prominent Arab country fighting Israel for the rights of the Palestinians. However, the Six Day War diminished Egypt's and its leader Gemal Abdel Nasser’s prestige when the Egyptian Air Force and the Army suffered from a devastating pre-emptive strike by Israel. Egypt looked for diplomatic and military means to retake the Sinai Peninsula from Israel and to avenge their damaged pride and confidence. The picture of Israeli flag waving up high in the other side of the Suez Canal determined the Egyptians to retake the Sinai Peninsula one way or the other. The Arab League Summit in Khartoum in the aftermath of the Six Day War concluded with a stand known as the “3 Noes” – No peace with Israel, No negotiations with Israel, No recognition of Israel. Then by the later months of 1967, the UN Security Council issued Resolution 242 which the Egyptians hoped would lead to the return of the loss territory. But the Israelis interpreted the Resolution differently and stood firm in holding their newly captured territories. Nasser then approved the military to commence small raids and skirmishes with the Israel to harass them to withdraw, while the main bulk of the military rebuild and retrained itself with Soviet advisers and weapons. The conflict that became known as the War of Attrition waged until 1970. Egypt supported terrorist activities of the Palestinian Liberation Organization (PLO) and launched more daring attacks on Israel, starting in 1969. They, however, also suffered from counter-attacks and raids by Israel, prompting Nasser to allow Soviet pilots to join the fray. Nasser’s involvement of the Soviets then brought the United States to broker a ceasefire that took effect in August 1970. The conflict ended inconclusively, and about a month later, Nasser passed away. 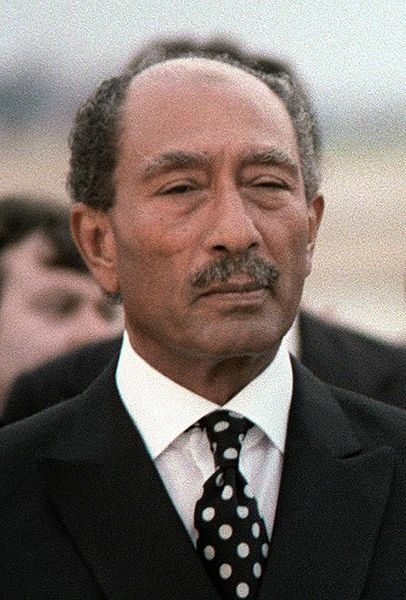 Nasser’s successor, Anwar Sadat ascended as President. Sadat needed to silence his detractors and cement his rule. He viewed a victory or the retaking of the Sinai Peninsula as a way to achieve this goal. He continued to rebuild the Egyptian military and sought the support of the Soviet. The Soviets, however, disappointed Sadat by rejecting to support a war. Sadat then expelled thousands of Soviet advisers as a revenge. Nevertheless, he kept the Soviets as Egypt's supplier of weapons. For the next three years, Sadat threatened Israel annually with war. But as each year passed by, Israel only yawned at Sadat’s blank threats. Sadat’s blank threats, however, might be part of his deception to make Israel complacent enough to be blind over his army’s preparations. Speculations today suggested Sadat planted a double agent – known as “the Source” - in the Israel’s intelligence agency Mossad’s spy ring to mislead the enemy. Sadat then looked for allies that would join him in the war, and he did not need to look for long and far. Syria shared Sadat's aspiration. Syria had the same reason as Egypt had in starting the 1973 war. They too suffered humiliation and loss of territory in the hands of the Israelis. In 1970, a new leader came to power, determined to cement his rule that indeed lasted for decades. At the time of the Six Day War, Syria also stood as a major player in the Arab struggle against Israel. They formed a short-lived union with Egypt. When Israel launched their devastating pre-emptive strike, their air force and army stood in ruins. Furthermore, the mountainous area known as the Golan Heights fell to the Israelis and served as a buffer zone between the Arab and the Zionist state. 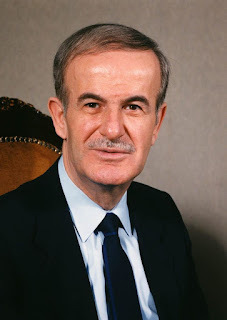 The responsibility of such defeat fell into the shoulders of then Syrian Defense Minister Hafez Al-Assad. By 1969, a group of military officers held the reins of power over Syria. Hafez Al-Assad stood as the prominent leader. They faced a tough challenge in the international stage when in 1970, they decided to intervene and fight in support of the Palestinians against King Hussein of Jordan. 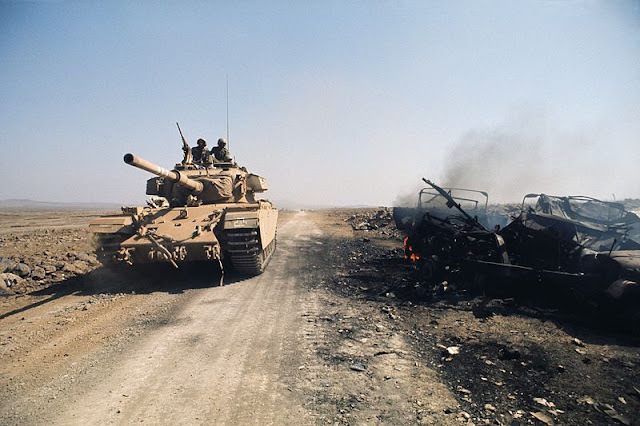 The intervention, however, turned to a disaster when a combined strike from Jordan and Israel, with the support of the United States, pushed back Syrian and Palestinian forces out of Northern Jordan. Assad used the debacle as an excuse to destroy his detractors and emerge as Syria’s sole President and strongman. Nevertheless, like Sadat in Egypt, he too wanted to cement his rule by conquest and wash away the humiliation and blame of him for the loss of Golan Heights. Syria’s Hafez al-Assad and Egypt’s Anwar Sadat planned their move against Israel in secret. They planned for a limited war that called for both sides to retake their lands and hold them until the United States, the Soviet Union, and the United Nations intervene for a ceasefire. In that case, if they held their lands, they would have the upper hand in negotiations to make Israel drop their occupation and claims in the Sinai Peninsula and the Golan Heights. The two countries plotted carefully that most of their own military only knew the plan at the same day that the Yom Kippur War began. Nevertheless, words of the plot reached Israel. But Sadat’s deception through his rhetoric led Israel to disregard the real threat of war. 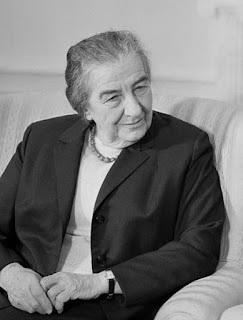 The Source, the speculated double agent of Sadat, did warned Israel of an impending attack on October 6 at 6pm and Israel’s leaders, Prime Minister Golda Meir and legendary Defense Minister Moshe Dayan, took it seriously. But the information they received was wrong, an attack did take place on October 6 but it happened earlier than expected – at 2 pm. And so, another conflict inflamed the Middle East once more. The actions of Egypt and Syria ignited another conflict in the tinderbox region of Middle East. Israel fought for its survival, while the Arab League sent aids to their Egyptian and Syrian allies. The superpowers intervened. The United States actions led to an international economic crisis that made the war a global issue. In the end, the Soviets and the Americans, along with the United Nations, restored peace after difficult and tough talks. Israel’s myth of invincibility disappeared with the surprise attacks of Syria and Egypt. The Israel Defense Force (IDF) retaliated in disarray. Its armor divisions blown up by Egyptian Soviet-supplied anti-tank weapons and its air force crush by an umbrella of surface to air missiles (SAMs). Casualties piled up while the bulk of IDF – the reservist- mobilized as fast as they can to defend their country. 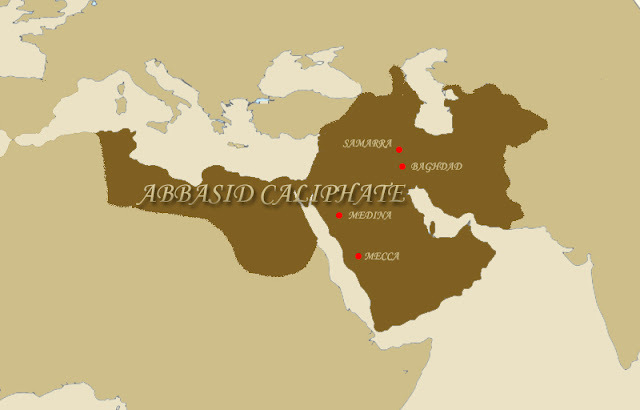 Although the war started terribly, they launched a counter attack that turned the tides against the Egyptians and Syrians when they threatened to capture the capital cities of Cairo and Damascus. Meanwhile, the Arab League joined the fray. Its members sent contingents of tanks, planes, and troops to support the Egyptians and the Syrians. Jordanian, Moroccans, and Iraqis sent troops to Syria to fight back the Israelis. Sudanese joined the Egyptians to defend Cairo. The United States on the other hand supported Israel’s fight by sending equipment and ammunition. The early fighting exhausted Israel's supplies and Prime Minister Golda Meir pleaded American President Richard Nixon to help them replenish. Meir convinced Nixon and American cargo planes flew in the badly needed supplies that were immediately rushed to the front lines. The actions of the United States, however, prompted the Arab League to play their oil card. To chastise the United States for its support of Israel and its allies, they imposed an embargo on oil exports. The embargo immediately resulted to skyrocketing prices and gas lines in stations. The oil shock drag many economies down, not just the American economy, but the rest of the world. The Arab League flaunted their oils’ power and influence. The Soviets, in the meantime, feared Israel attacking the capitals of its allies Egypt and Syria and prepared to intervene militarily. The United States urged the Soviet Union to back down and agreed to work together to create a settlement in the conflict in the Middle East. The United Nations and the superpowers then urged all parties to accept a ceasefire. But Israel broke the first to get the upper hand. And only agreed to a cease on the October 26, 1973, ending the Yom Kippur War. By the end of the war, Israel had the upper hand of Egypt. But in the end, Sadat won strategically. Israel suffered humiliations with its might in tatters and Golda Meir and Moshe Dayan resigning as a result. Assad, meanwhile, failed to recapture the Golan Heights, but his administration continued until his death in 2000. Sadat, because of the war, got Israel to negotiate the return of the Sinai Peninsula culminating in the signing of the Camp David Accord in 1979. Sadat brandished the war as his personal victory, but his actions afterwards caused dissatisfaction that led to his assassination on October 6, 1981, the eighth anniversary of the conflict.